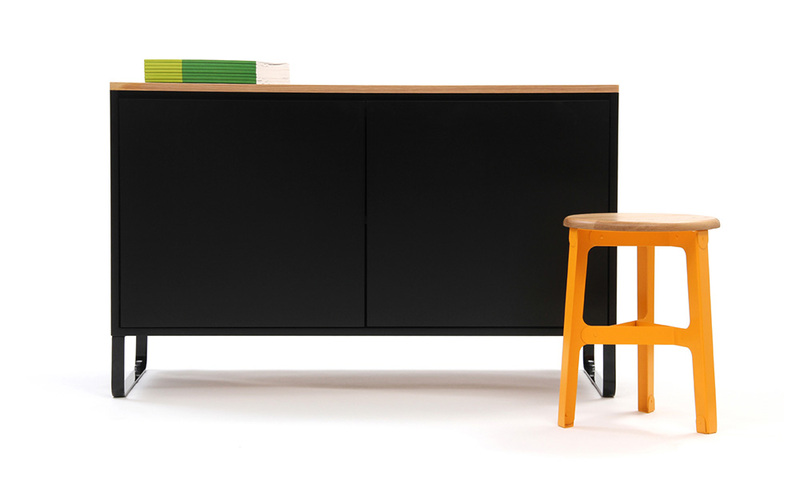 The Naughtone sideboard fulfils its primary function of storage without question. 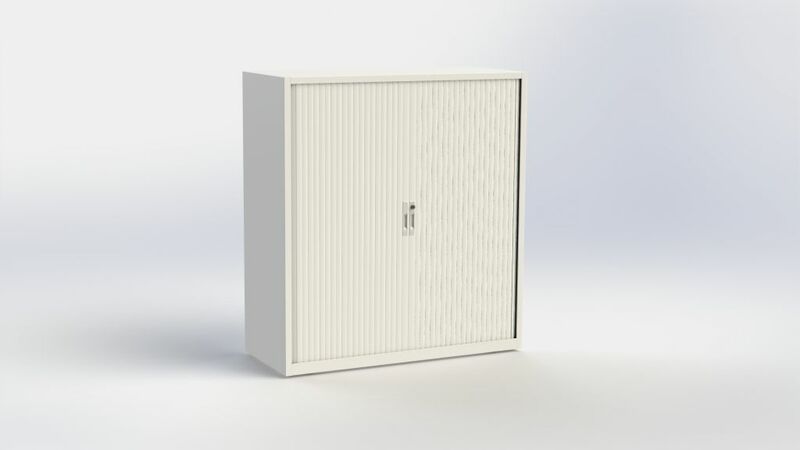 Simply designed to sit unnoticed in a space it is a great companion product to Naughtone tables and chairs which may demand a little more attention! 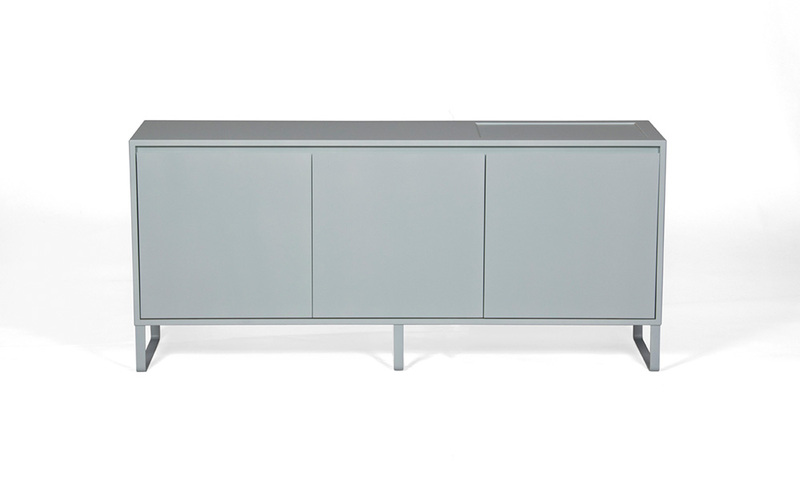 Equally the sideboard holds colour very well and can be a great way to add colour or accent to an interior – sideboard is available in any RAL colour! 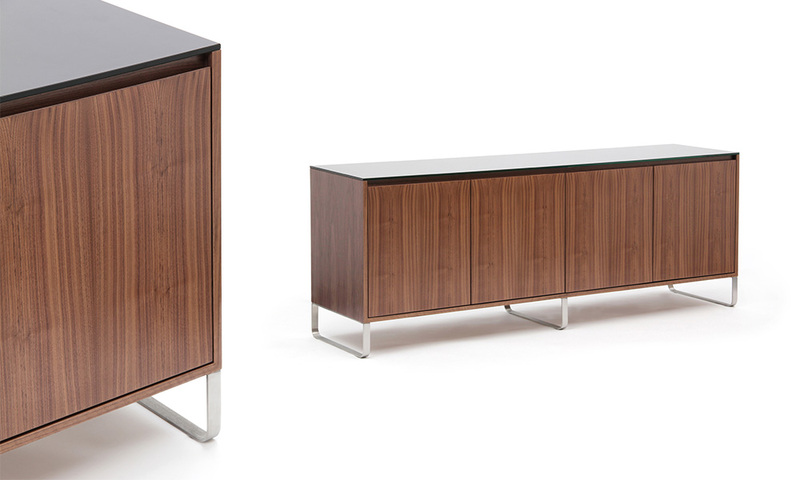 Tops available in: Black painted glass, Marble, Walnut or Oak veneer. 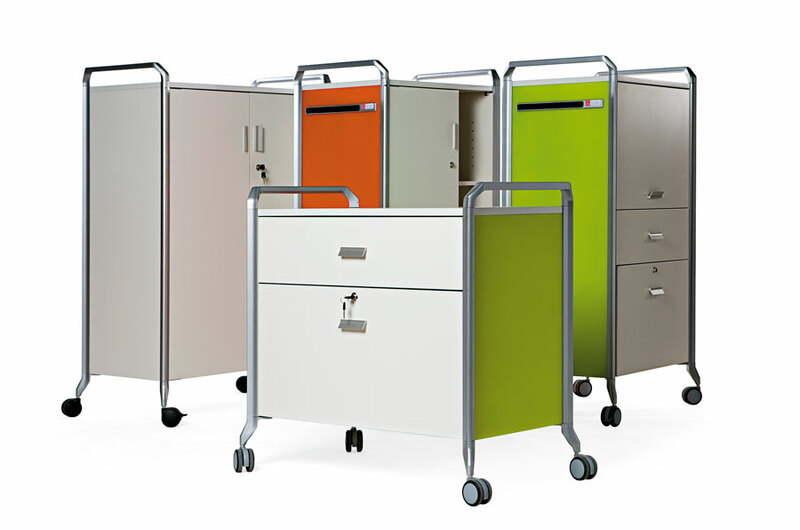 Base options are: Brushed stainless steel sled base, Brushed white or black powder coated sled base, RAL colours available on request, Steel straight legs in matching paint colour or grey powder coat. 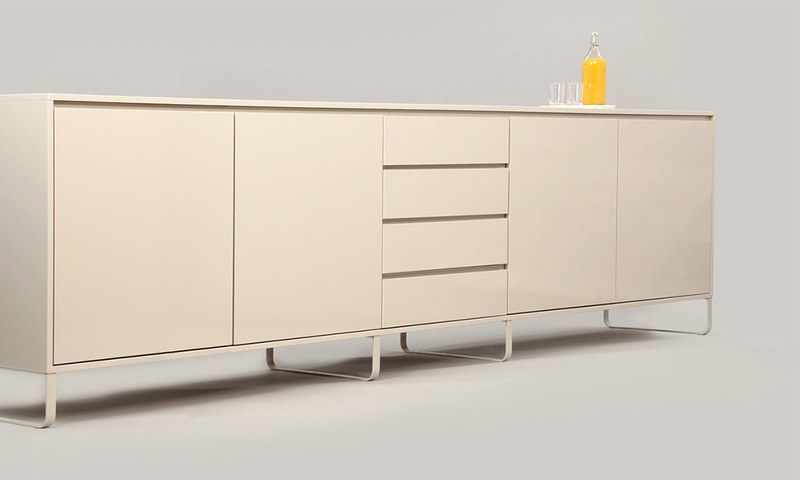 Sideboard is carefully constructed by hand from MDF and quality soft close components. 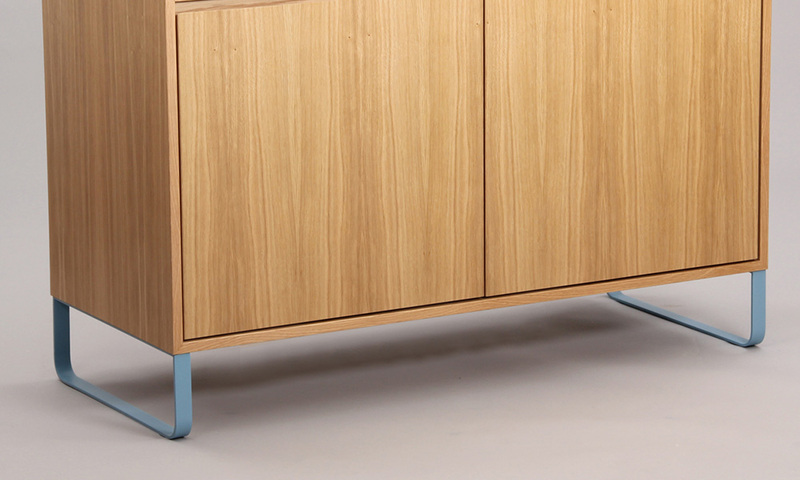 The MDF can be finished with a silk spray lacquer in any RAL colour or Walnut and Oak veneers. The mild steel sled bases are finished with a hard wearing polyester powder coat in any RAL colour or the leg can be made as stainless steel with a brushed finish.